Sorry folks, there’s a bit of a hold up with what’s went out today. Please continue to check bags as normal for any letters that have gone home and we will post our latest batch of communications when we have all the information. 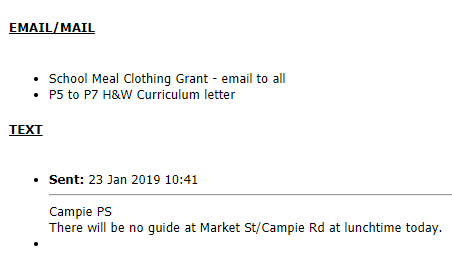 In an effort to be more effective with regards to communication, we at Campie are going to post all the communications that get sent home on a Wednesday on the school website. This should allow you to see what’s coming home in school bags or sitting in your inbox. It should be noted that there will be occasions where urgent letters are sent home on other days – these instance should be few and far between. If you do not receive these letters/e-mails and would like a copy please speak to your child’s class teacher or one member of our office staff. There may be a few teething problems so stick with us while we work out the kinks.